building beyond: [FAST] The ICEWALL complete! 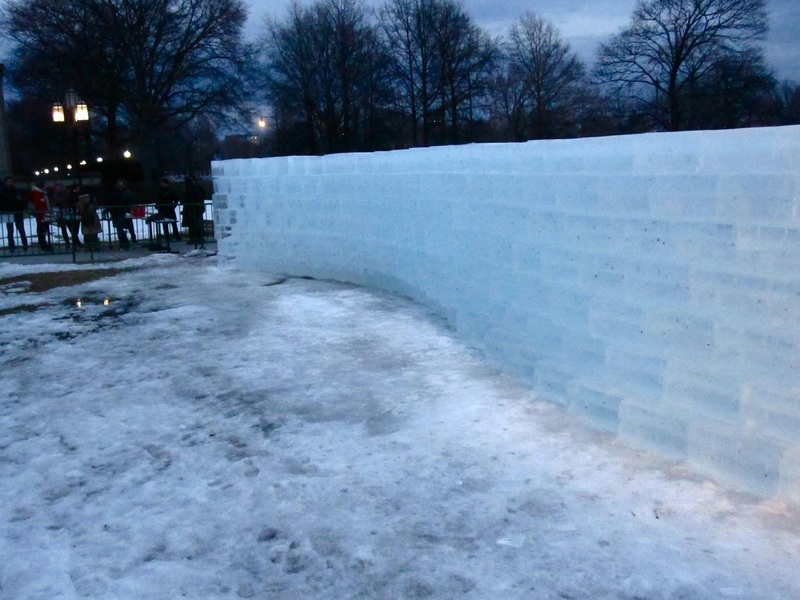 This weekend, I had the privilege of helping Yushiro and Kian build their IceWall installation for the MIT 150 FAST festival. 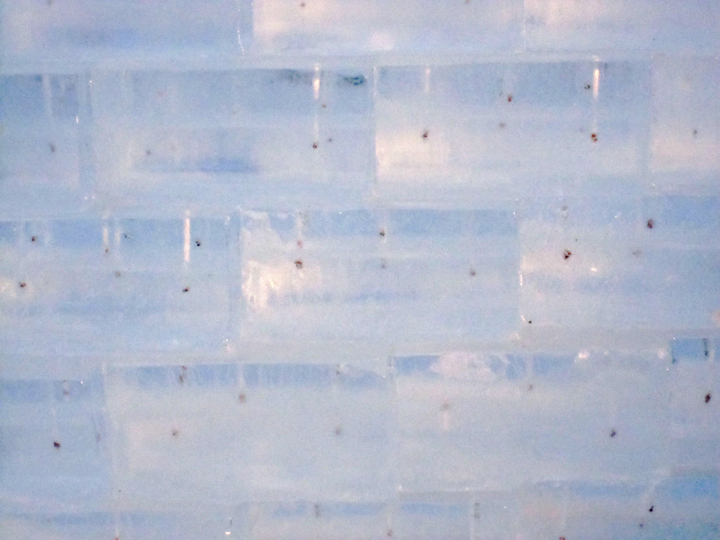 The idea stemmed from our class last semester, and they thankfully got to build this 6 foot+ tall, undulating wall of ice blocks. Did I mention that it was also freezing (or below freezing) cold during the process? Marcus and I helped out just during the daytime, but the rest of the building team - comprised of architecture friends and various groupies from Japan and Hong Kong - were building into the night as well. It took about 4 days to build (estimated 2...), but it turned out beautifully and was well worth the effort. Sadly, I didn't feel so great and so didn't make it to the reception today... But it will be up for at least however long the weather decides to cooperate. The idea is that the wall creates a new but ephemeral facade for MIT (situated in front of Killian court and the iconic building 10 dome). Once the wall melts, the flower seeds within will be (hopefully) planted and grow, leaving behind a legacy parallel to MIT's own growing future. (Or, something along those lines. I was helping Y a bit w/ his description last semester.) In any rate, it will be something cool that people can come to see, and the melting of it will be a pretty sight as well. Location: in front of Killian Court along Memorial Dr.
>>" leaving behind a legacy parallel to MIT's own growing future"
Haha, you can thank Marcus for that photo of the seeds. I took some more pics when I went with you and Caleb, but they haven't yet made their way off of my camera.